Over 800km north of the Norwegian mainland is the archipelago of Svalbard; an icy, inhospitable wilderness like nothing you will have seen before. This is the end of the world as we know it, and a place where there are more polar bears than people. 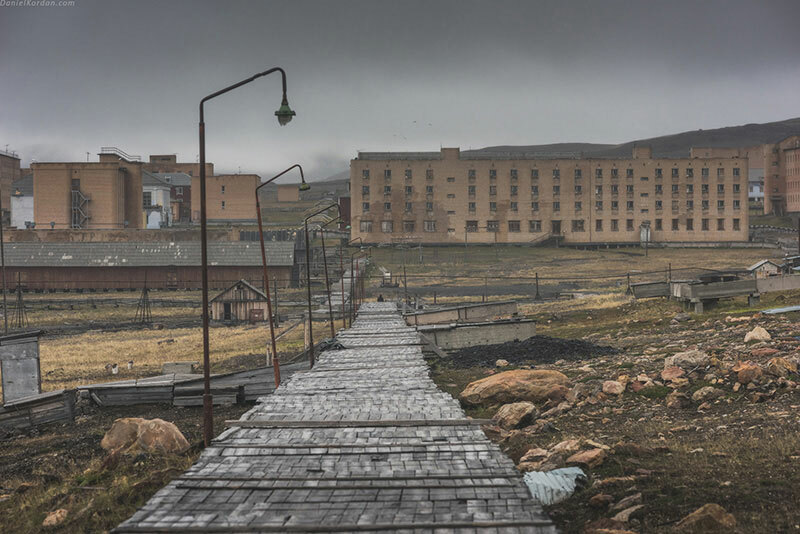 But despite the climate and remote nature of life this far north, there are many residents perfectly happy to have settled here. So what’s the secret? To find out, this photography tour offers an incredible Arctic experience enjoyed through the lens of your camera. Over the course of eleven unimaginable days we will open your eyes to the pristine landscapes, diverse wildlife, and effortless serenity of Svalbard. 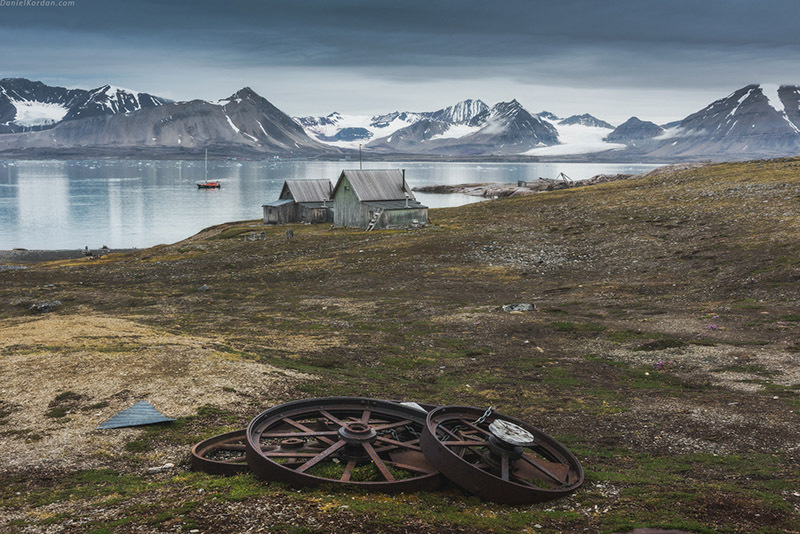 This photography expedition coincides with Svalbard’s opening sunset of the season, as the permanent summer sun of the Arctic reluctantly settles just below the horizon for the first time. Early September was a very deliberate choice for our visit. This far north the seasons are dramatic and long-lasting, and the summer sun doesn’t offer good conditions for photography. September marks the end of that extended summer, and this 11-day adventure in the Arctic will take full advantage of light conditions perfect for photography. Colors are more vivid, natural saturation is high, and our images will radiate the clarity and silence we come across at every turn. With incredible light guaranteed, the landscapes and wildlife will provide an array of iconic scenes throughout this photo tour. The landscapes and natural life of Svalbard are dynamic and constantly changing. Because of this we need to be equally flexible. In order to make the most of every possible opportunity, for the duration of this tour we’ll have full use of a private ship. With an experienced crew, local guides, and professional photographers, we’ll glide through the serene Arctic waters in search of perfect pictures. 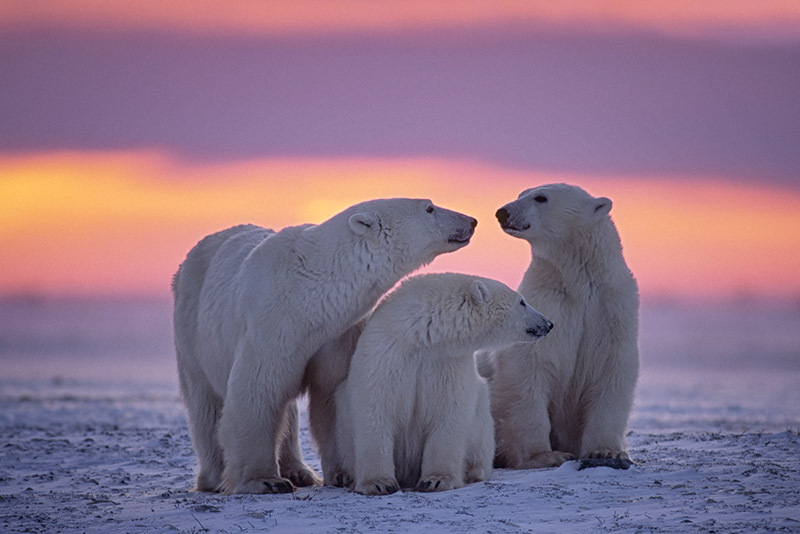 Naturally, our immediate focus will be on the animal kingdom and the wondrous Arctic landscapes. Spitsbergen, where we will be spend much of our time, literally means ‘deep fjords’, which gives you some clue as to what to expect in terms of scenery. Surrounded by muscular mountains, glaciers, and polar bears, we will spend time each day scouting out the best scenes in this ever changing landscape. We will have to make adjustments during the trip, taking into account the ice situation and weather conditions, but having a relatively small group ensures that everyone’s photography priorities will be taken into account. Another advantage of traveling in a smaller group is increased mobility. Our little ship is unlikely to scare away any of the local wildlife, and it’s agile enough to go where larger vessels can’t. 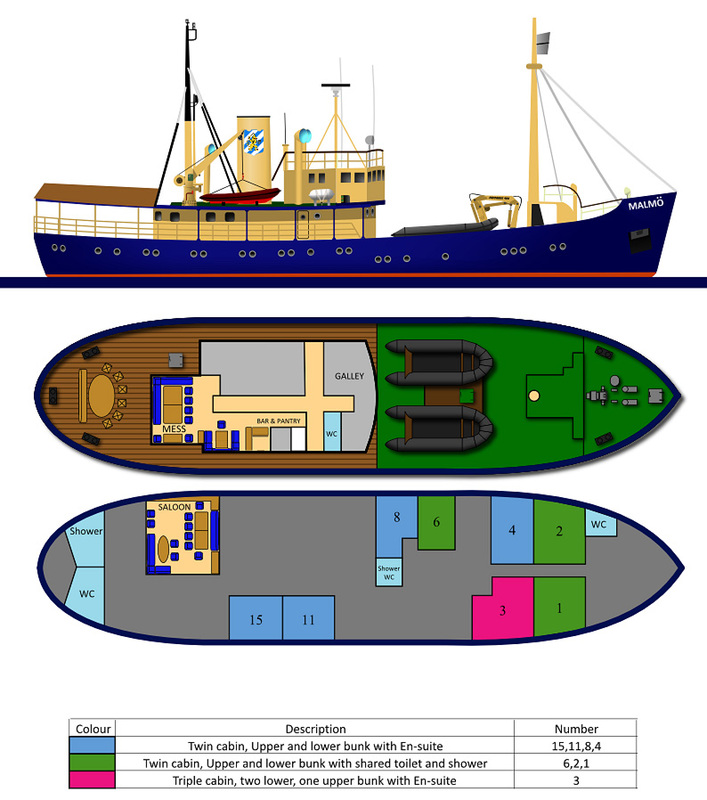 We also have a Zodiac craft that can be launched at a moment’s notice. This will come in handy when we need to navigate through tight spaces to capture the perfect shot, get up close and personal to the animals, or take a quick trip to the shore. Our timetable is more or less free. 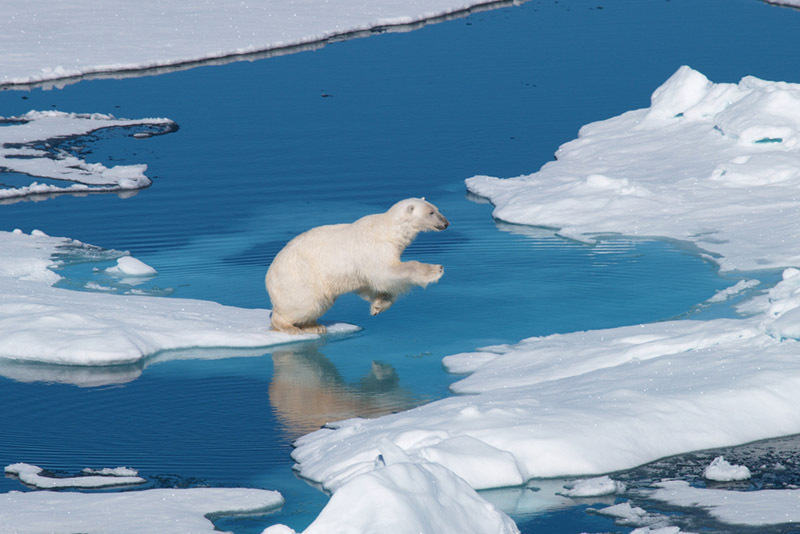 Ideally we want to go to North Spitsbergen, but in itself that won’t be our goal. The main aim will simply be to venture around the area and get as many stunning shots of the Arctic as we can. 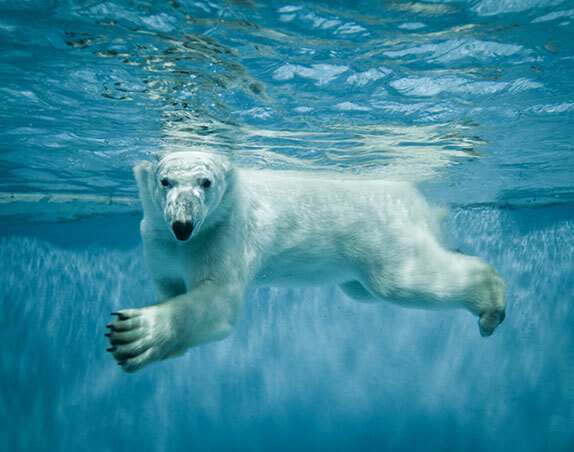 We’ll make a point of searching for and shooting polar bears, and with any luck we should also come across fur seals, whales, walruses and arctic foxes. Plans will change according to conditions, and you never know what photographic wonders we might come across. Because of this we will draw up a timetable at the beginning of everyday based on the information we have. One thing’s for sure: You will need your telephoto. 500 mm and 600 mm lenses will be a good choice for a close-up and 300 mm, 70-200 for a long shot and an extender. SAS fly regularly to Longyearbyen through Oslo and Tromso. We recommend that you arrive at Spitsbergen at 14:00 on the day before our journey begins. We suggest the following hotels, and ideally we will meet the night before for a meal. Radisson Blu Polar Hotel is one of the biggest, most well-placed hotels in the area. Basecamp Trapper’s Hotel is good, colorful and quirky. 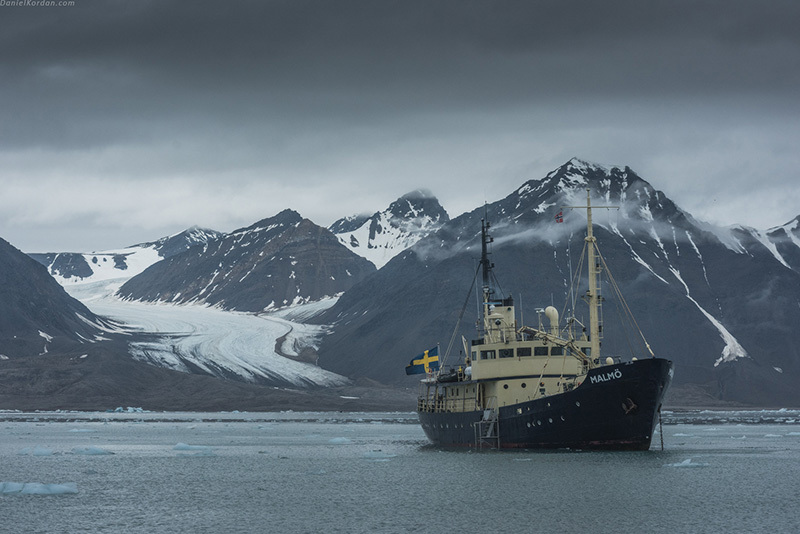 Our ship, the M/S Malmö, is under the control of a captain and crew with years of experience sailing through Svalbard’s waters.They are also actively working to man responsible expeditions that respect the fragile environment in this part of the world. The exact route of our expeditions will depend on ice, weather conditions, group preferences and wildlife encounters. But having said this, the ship’s captain will have the last word on when and where the ship will sail and when it is appropriate to put passengers ashore. 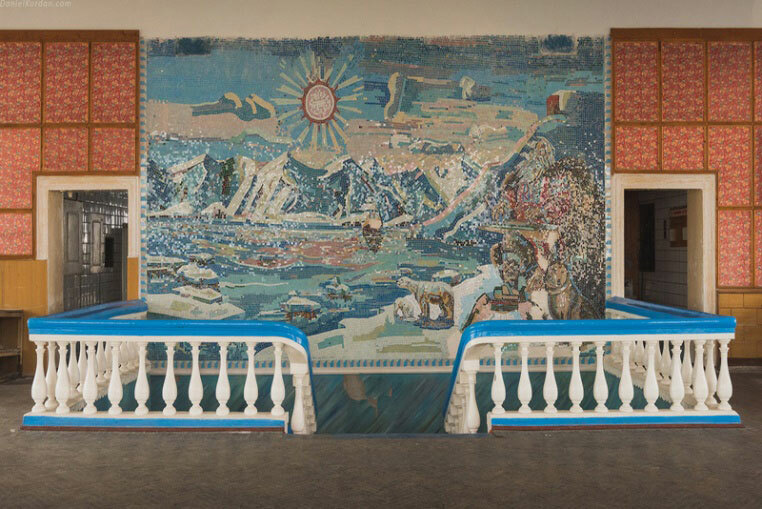 On day one (31st July) we will meet in the administrative capital of Svalbard, Longyearbyen. The group will board our ship in the afternoon around 16:00 (4PM) and this Arctic photography tour will begin. From then on we will set sail into a world where natural forces dictate many of our decisions. Our exact itinerary depends on several factors, from weather to pack ice to the group’s preferences. What we can say for sure is that every day we will plan to make several landings with the Zodiac, scouting out the best possible scenes with the help of our expert photography guides. Svalbard’s fjords, particularly Raudfjorden and Kongsfjorden, offer our intrepid photographers an opportunity to capture images of icy waterways dominated by glaciers and teeming with Arctic wildlife. 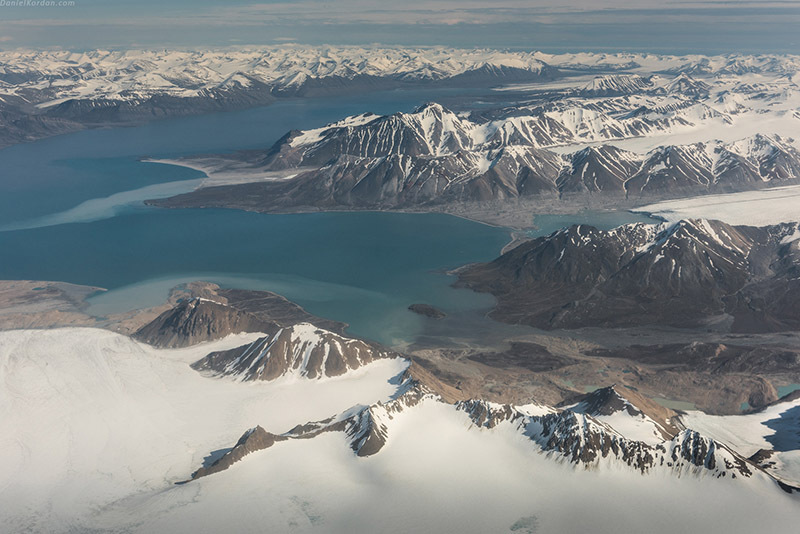 Raudfjorden, in the north of Spitsbergen, winds inland into two branches; the cape between which was named Point Deceit by British adventurer Robert Fotherby. Kongsfjorden on the other hand, is renowned for being the archipelago’s most spectacular fjord. This reputation is, as we will see, completely justified. Achingly beautiful glaciers aside, the promise of watching seals relaxing on the ice or polar bears stalk their prey is too good for any photographer to miss. The surrounding area is also home to several bird sanctuaries, so we can expect to focus on action high above, too. On the southern shores of Kongsfjorden we will find Ny-Alesund, an Arctic research centre established many years ago in an abandoned mining community. The clash of old and new will provide a welcome contrast for our lenses, and we will take some time to explore the area with our guides. 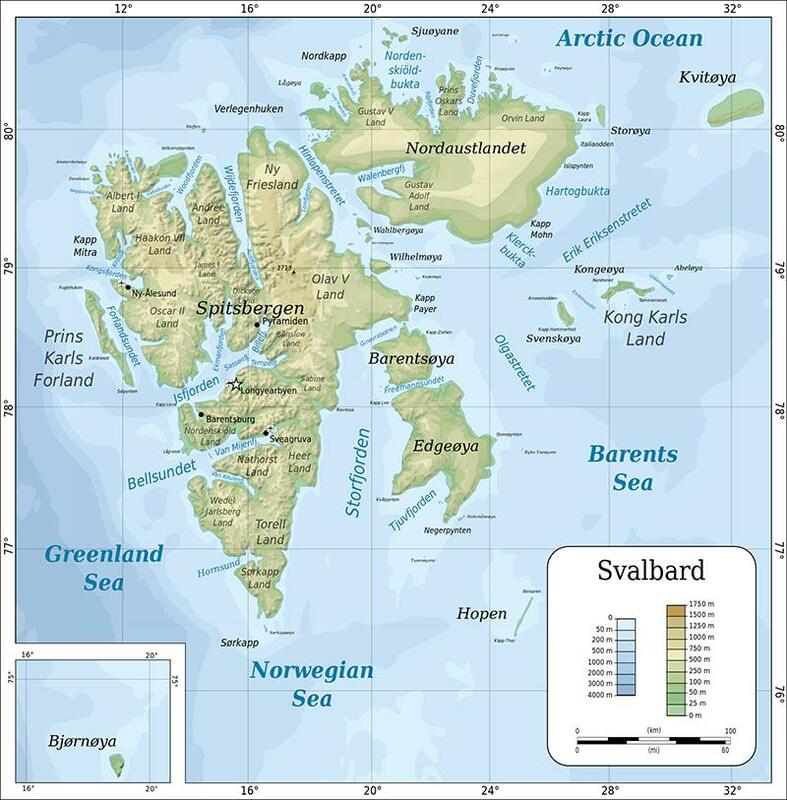 ​On the eastern edge of Svalbard lies Nordaustlandet, the archipelago’s second largest island. Much of the island sits underneath an ice cap, so the scenery will be familiarly crisp. But here the stone cliffs of Alkefjellet give way to glacial walls of ice of epic proportions. We will spend plenty of time navigating around the glacier, scouting for polar bears, and taking the zodiac out to the shore. ​As we sail north of Spitsbergen, there’s a great chance we’ll come across the Arctic pack ice. Understandably, not many ships come to this part of Svalbard. The ice can be difficult to navigate and it’s not suitable for larger boats heading east or west. Fortunately for us, a lack of traffic means we can make the most of this grand landscape’s eerie stillness. Incredible subjects for photography will rear up at every turn, and as we’ll be taking things slow through the ice, there’ll be countless opportunities to shoot memorable pictures. Sailing in this part of Svalbard also makes it highly likely that we’ll come across polar bears. We will be constantly scouting for these majestic animals during the voyage. The ice represents the hunting ground for many of Svalbard’s bears, and some of the furry predators we will come across weigh up to 900 kilos. It’s thought there are around 4,000 polar bears living in Svalbard, which mean that they comfortably outnumber the human population – So there should be enough for us to find! 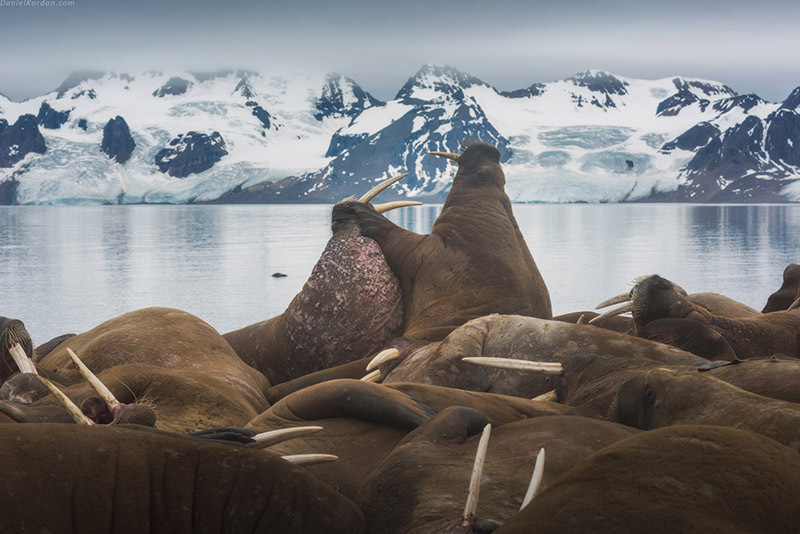 Aside from great white bears, Svalbard’s shores are home to plenty of other Arctic species, including fur seals, seals, walruses and the native deer. ​If all goes well we will sail around to the basalt cliffs of Alkefjellet, which run for several kilometres of imposing coastline on the eastern shores of Spitsbergen. 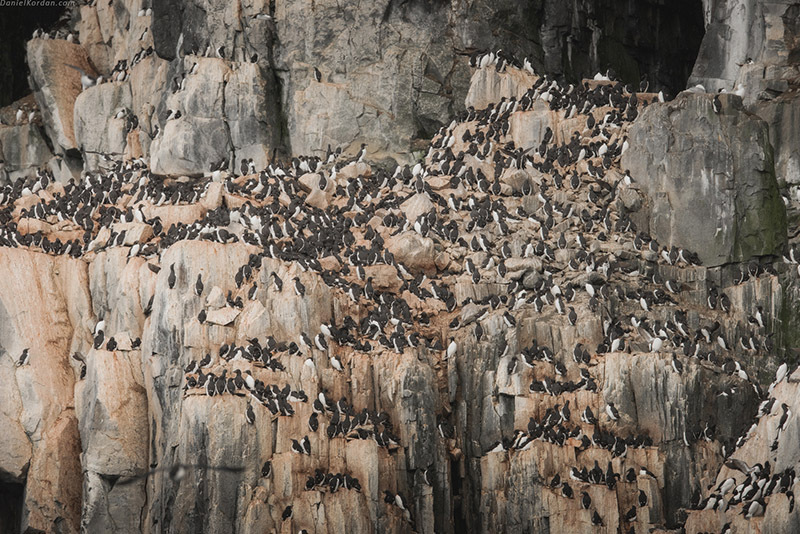 The steep cliffs are home to huge colonies of Brunich’s guillemots, a bird as close to a flying penguin as you will see. But even without the incredible birdlife a trip to Alkefjellet is well worth our time. The magnificent cliffs are fantastic to skirt along with the Zodiac, and the sight of the sunlight bouncing off the towering stone walls will make a worthy addition to your photography portfolio. To the south of Nordaustlandet are the two smaller islands of Barentsøya and Edgeøya. Again we will sail through the whitewashed Arctic scenery, shooting in the soft light of early winter. These two islands are also home to vast tundra plains, where we will seek out some of the native walrus, arctic fox and Svalbard reindeer. In the morning at 9AM we will disembark and begin the journey home, laden with unforgettable memories and loaded memory cards! The majority of the accommodation on board our ship comes in the form of double cabins with facilities. All cabins have upper and lower berths, and 5 out of 6 have a WC and a shower. There are also single and triple cabins. So in total there are three types of cabin to choose from. We will have a range of European cuisine on board throughout the course of the trip, and there will always be access to tea, coffee and drinks from the bar.